Simulated Diamond Engagement Ring in Sterling Silver. Express your huge love with this Simulated Diamond Engagement Ring. Expertly created in 14K yellow gold vermeil and .925 sterling silver. 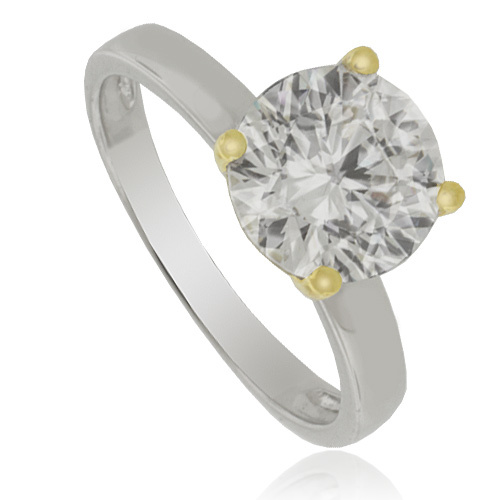 The eye is instantly attracted to the 9 mm round huge solitaire in a traditional four-prong setting. The two-combined base shank wrap the ring in a cherishing grasp, finishing this novel and exquisite outline. Sure to win her heart, this ring is polished to get the best sparkle.